During a Reiki Healing Session the whole person is affected by the energy; the physical body, emotions, mental body and spiritual self. The energy feels like a wonderful glowing radiance that flows through and around you creating a sense of deep relaxation with feelings of security, peace and wellbeing. Some people experience visions or mystical experiences while others drift off into a peaceful sleep. During a treatment Reiki Energy flows from the practitioners hands into the receiver. The receiver is lying, fully clothed on a massage table while practitioner places her hands near the patient’s body in a series of hand positions. These include positions around the head and shoulders, the stomach, and feet. Other, more specific positions may be used based on the patient’s needs and what the practitioner is guided towards. The whole treatment usually lasts between 45 and 55 minutes. Reiki is a Japanese healing technique that balances and harmonizes the life force energy that runs throughout the human body. When the life force energy is in balance the body’s natural healing abilities are triggered to heal and maintain health. When ‘ki’ or life force energy is diminished or blocked emotional and physical health problems occur. Our “ki” is diminished or blocked during times of emotional or physical trauma, and from negative thoughts and feelings. Reiki healing energy balances and harmonizes the physical, emotional and psychic bodies, therefore healing the Mind, Body and Soul. Reiki Healing has been shown to improve sleep, improve digestion, enhance well-being, create stronger self-esteem, speed surgical recovery, reduce side effects from drugs and medical procedures, increase self-awareness, increase intuition, sooth and clarify emotions, relieve anxiety, relieve stress, calm nervousness, aids spiritual growth, boosts immune system, strengthens mental clarity, promotes positive moods and emotions. 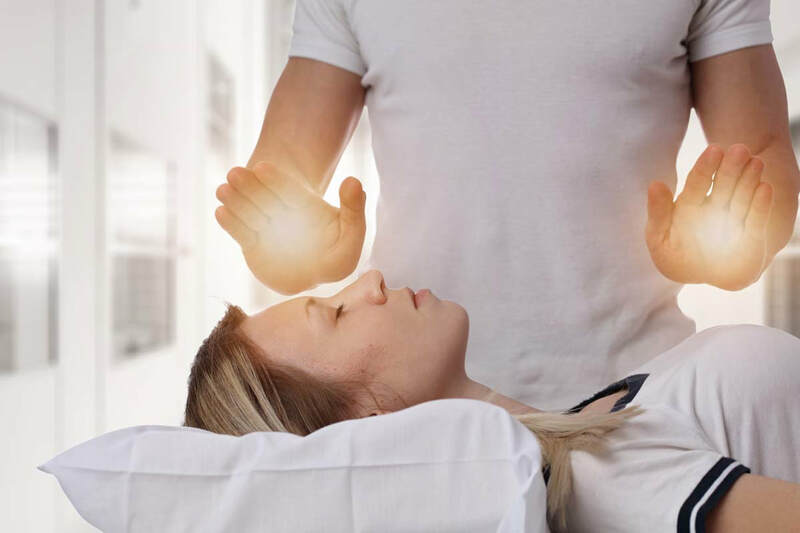 People who receive regular Reiki Healing Energy are calmer, more grounded individuals who manage their stress and anxiety, recover from illnesses quicker and have a positive attitude towards life. Empower yourself and learn Reiki to heal yourself and loved ones. People who practice Reiki Find their mind is clearer with more creativity, it is easier to make life decisions and apply changes to their lifestyle, and feel self-empowered to heal their lives physically, mentally and emotionally. This Ancient Healing modality is passed on from Master to Student in small groups. Click the link for more information about classes.